1. Withdraw your heart from external matters. Be at peace before God, and give your undivided attention to praying to God. 2. With your heart at peace before God, eat, drink, and enjoy God’s words. 3. Meditate on and contemplate God’s love and ponder God’s work in your heart. First, begin from the aspect of prayer. Pray with undivided attention and at fixed times. No matter how pressed you are for time, how busy your work, or what befalls you, pray every day as normal, and eat and drink God’s words as normal. As long as you eat and drink God’s words, no matter what your surroundings are, you will have great enjoyment in your spirit, and you will be undisturbed by the people, events, or things around you. When you normally contemplate God in your heart, what goes on outside cannot bother you. This is what it means to possess stature. Begin with prayer: Praying quietly before God is most fruitful. After that, eat and drink the words of God, seek out the light in God’s words by pondering them, find the path to practice, know God’s purpose in speaking His words, and understand them without deviation. Ordinarily, it should be normal for you to be able to draw close to God in your heart, to contemplate God’s love and to ponder the words of God, without being disturbed by external things. When your heart has achieved a certain degree of peace, you will be able to muse silently and, within yourself, to contemplate God’s love and truly draw near to Him, regardless of your surroundings, until finally you reach the point where praise wells up in your heart, and it is even better than prayer. Then you will be possessed of a certain stature. If you are able to achieve the states of being described above, it will be proof that your heart is truly at peace before God. This is the first basic lesson. Only after people are able to be at peace before God can they be touched by the Holy Spirit, and enlightened and illuminated by the Holy Spirit, and only then are they able to have true communion with God, as well as to grasp God’s will and the guidance of the Holy Spirit. They will then have entered onto the right track in their spiritual lives. When their training to live before God has reached a certain depth, and they are able to forsake themselves, to despise themselves, and to live in God’s words, then their hearts are truly at peace before God. Being able to despise oneself, curse oneself, and forsake oneself is the effect achieved by God’s work, and cannot be done by people on their own. Thus, the practice of quieting one’s heart before God is a lesson people should immediately enter. For some people, not only are they ordinarily unable to be at peace before God, but they cannot quiet their hearts before God even when praying. This falls too short of God’s standards! If your heart cannot be at peace before God, can you be moved by the Holy Spirit? If you are one who cannot be at peace before God, you are liable to be distracted when someone comes by, or when others are talking, and your mind can be drawn away when others are doing things, in which case you do not live in God’s presence. If your heart truly is at peace before God, you will not be disturbed by anything going on in the outside world, or occupied by any person, event, or thing. If you have entry into this, then those negative states and all negative things—human conceptions, philosophies of life, abnormal relationships between people, and ideas and thoughts, and so forth—will naturally disappear. Because you are always pondering God’s words, and your heart is always drawing close to God and always being occupied with the current words of God, those negative things will fall away from you without you realizing it. When new and positive things occupy you, negative old things will have no place, so do not pay attention to those negative things. You need not make an effort to control them. You should focus on being at peace before God, eat, drink, and enjoy God’s words as much as you can, sing hymns in praise of God as much as you can, and let God have a chance to work on you, because God now wants to perfect humanity personally, and He wants to gain your heart; His Spirit moves your heart and if, following the guidance of the Holy Spirit, you come to live in God’s presence, you will satisfy God. 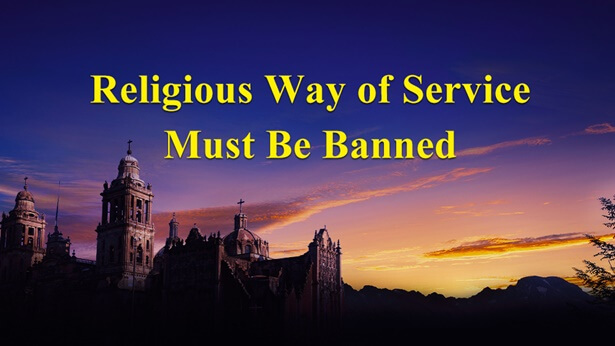 If you pay attention to living in God’s words and engage more in fellowship about the truth to gain the enlightenment and illumination of the Holy Spirit, then those religious conceptions and your self-righteousness and self-importance will all disappear, and you will know how to expend yourself for God, how to love God, and how to satisfy God. And without your realizing it, those things that are extraneous to God will entirely dissipate from your consciousness. To ponder and pray over the words of God while eating and drinking His current words is the first step to being at peace before God. If you can truly be at peace before God, then the enlightenment and illumination of the Holy Spirit will be with you. All spiritual life is achieved by being at peace in God’s presence. In praying, you must be at peace before God, and only then can you be moved by the Holy Spirit. 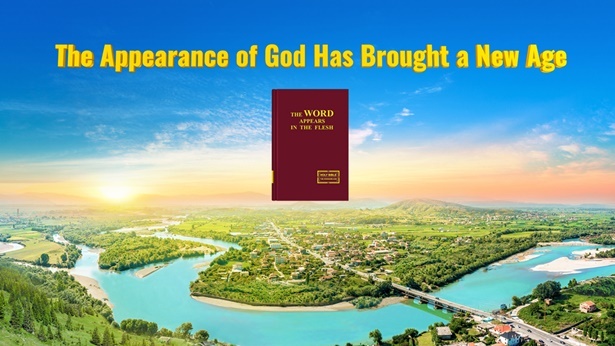 When you are at peace before God when you eat and drink God’s words, you can be enlightened and illuminated, and can achieve true understanding of God’s words. When, in your usual activities of meditation and fellowship and drawing close to God in your heart, you become at peace in God’s presence, you will be able to enjoy genuine closeness to God, to have genuine understanding of God’s love and His work, and to show true thoughtfulness and care toward God’s intentions. The more you are ordinarily able to be at peace before God, the more you will be illuminated and the more you will be able to understand your own corrupt disposition, what it is that you lack, what it is that you should enter, what function you should serve, and wherein your defects lie. All this is achieved by being at peace in God’s presence. If you truly attain depth in your peace before God, you will be able to grasp certain mysteries of the spirit, to grasp what God at present wishes to carry out in you, to grasp a deeper understanding of God’s words, to grasp the essence of God’s words, the substance of God’s words, the being of God’s words, and you will be able to see the path of practice more clearly and accurately. If you fail to achieve sufficient depth in becoming at peace in your spirit, you will only be a little moved by the Holy Spirit; you will feel strengthened on the inside and will feel a certain amount of enjoyment and peace, but you will not grasp anything deeper. I have said before: If people do not employ every ounce of their strength, it will be difficult for them to hear My voice or see My face. This refers to achieving depth in one’s peace before God, and not to making superficial efforts. A person who can truly be at peace in God’s presence is able to free themselves from all worldly ties, and to attain possession by God. All who are incapable of being at peace in God’s presence are assuredly dissolute and unrestrained. All who are capable of being at peace before God are those who are pious before God, and who yearn for God. Only those who are at peace before God value life, value fellowship in the spirit, thirst for God’s words, and pursue the truth. Whoever does not value being at peace before God and does not practice being at peace before God is vain and superficial, attached to the world and without life; even if they say they believe in God, they are just paying lip service. Those whom God ultimately perfects and completes are people who can be at peace in His presence. Therefore, those who are at peace before God are graced with great blessings. People who scarcely take time to eat and drink God’s words throughout the day, who are busily preoccupied with external affairs and place little value on life entry—these are all hypocrites with no prospect of future growth. It is those who can be at peace before God and who can genuinely commune with God who are God’s people. To come before God to accept His words as your life, you must first be at peace before God. Only when you are at peace before God will God enlighten you and give you knowledge. The more at peace people are before God, the more they are able to receive God’s enlightenment and illumination. All this requires people to have piety and faith; only thus can they be made perfect. The fundamental lesson for entering spiritual life is being at peace in God’s presence. Only if you are at peace in God’s presence will all your spiritual training be effective. If your heart is incapable of being at peace before God, you will be unable to receive the work of the Holy Spirit. If your heart is at peace before God no matter what you are doing, then you are someone who lives in God’s presence. If your heart is at peace before God and draws close to God no matter what you are doing, this proves that you are a person who is at peace before God. If, when you are talking with others, or walking, you are able to say, “My heart is drawing close to God, and is not focused on external things, and I can be at peace before God,” then you are someone who is at peace before God. Do not engage with anything that pulls your heart toward external matters, or with people who separate your heart from God. Whatever it is that can distract your heart from being close to God, put it aside, or stay away from it. This is of greater benefit to your life. Now is precisely the time for the great work of the Holy Spirit, the time when God personally makes people perfect. If, at this moment, you cannot be at peace before God, then you are not someone who will return before the throne of God. If you pursue things other than God, there will be no way for you to be perfected by God. Those who can hear such utterances from God and yet fail to be at peace before Him today are people who do not love the truth and do not love God. If you will not offer yourself at this moment, what are you waiting for? To offer oneself is to quiet one’s heart before God. That would be a genuine offering. Whoever truly offers their heart to God now is assured of being completed by God. Nothing, no matter what it is, can disturb you; whether it is to prune you or deal with you, or whether you meet with frustration or failure, your heart should always be at peace before God. No matter how people treat you, your heart should be at peace before God. No matter what circumstances you encounter—whether you are beset by adversity, suffering, persecution, or different trials—your heart should always be at peace before God; such are the paths to being made perfect. Only when you are truly at peace before God will God’s current words become clear to you. You can then practice more correctly and without deviation the Holy Spirit’s illumination and enlightenment, grasp with greater clarity God’s intentions which will give your service a clearer direction, grasp more accurately the moving and guidance of the Holy Spirit, and be assured of living under the guidance of the Holy Spirit. Such are the effects achieved by truly being at peace before God. When people are not clear about God’s words, have no path to practice, fail to grasp God’s intentions, or lack the principles of practice, this is because their hearts are not at peace before God. The purpose of being at peace before God is to be earnest and pragmatic, to seek correctness and transparency in God’s words, and ultimately to arrive at understanding the truth and knowing God. If your heart is not often at peace before God, God has no means of perfecting you. Being without resolve is tantamount to having no heart, and a person without a heart cannot be at peace before God; such a person does not know how much work God does, or how much He speaks, nor do they know how to practice. Is this not a person without a heart? Can a person without a heart be at peace before God? God has no means of perfecting people without a heart—they are no different from beasts of burden. God has spoken so clearly and transparently, yet your heart remains unmoved, and you remain incapable of being at peace before God. Are you not a dumb brute? Some people go astray in practicing being at peace in God’s presence. When it is time to cook, they do not cook, and when it is time to do chores, they do not do them, but just go on praying and meditating. Being at peace before God does not mean not cooking or doing chores, or not living one’s life; rather, it is being able to quiet one’s heart before God in all normal states, and to have a place for God in one’s heart. When you pray, you should kneel down properly before God to pray; when you do chores or prepare food, quiet your heart before God, ponder God’s words, or sing hymns. No matter what situation you find yourself in, you should have your own way to practice, you should do everything you can to draw close to God, and you should try with all your might to quiet your heart before God. When circumstances permit, pray single-mindedly; when circumstances do not permit, draw near to God in your heart while doing the task at hand. When you can eat and drink God’s words, then eat and drink His words; when you can pray, then pray; when you can contemplate God, then contemplate Him. In other words, do your utmost to train yourself for entry according to your environment. Some people can be at peace before God when nothing is the matter, but as soon as something happens, their minds wander. That is not being at peace before God. The correct way to experience is this: Under no circumstances does one’s heart depart from God, or feel disturbed by outside people, events, or things, and only then is one a person who is truly at peace before God. Some people say that, when they pray in assemblies, their hearts can be at peace before God, but in fellowship with others they are incapable of being at peace before God, and their thoughts run wild. This is not being at peace before God. Today, most people are in this state, their hearts incapable of always being at peace before God. Thus, you must put more effort into exercising yourselves in this area, enter, step-by-step, upon the right track of life experience, and embark upon the path of being perfected by God.